The Center for Coastal and Ocean Mapping/Joint Hydrographic Center (CCOM/JHC) was founded in 1999 with two main objectives—to develop tools to advance ocean mapping and hydrography, and to train the next generation of hydrographers and ocean mappers. The JHC is a formal cooperative partnership between the University of New Hampshire and the National Oceanic and Atmospheric Administration (NOAA) whose aim is to create a national center for expertise in ocean mapping and hydrographic sciences. CCOM, a complementary university center, expands the scope of ocean mapping interaction and collaboration with the private sector, other government agencies, and other universities. CCOM/JHC's home is in the Jere A. 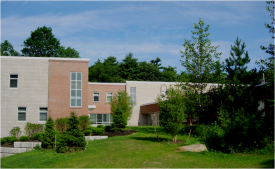 Chase Ocean Engineering Lab on the Durham campus of the University of New Hampshire. UNH's proximity to New Hampshire's 18 miles of seacoast provides ample opportunities for research and education. The lab boasts state-of-the art technology, including a Telepresence Console, a “Geowall” high-resolution display system, and state-of-the-art classrooms. Facilities include an acoustic test tank, labs and highbays, and the R/V Gulf Surveyor. The Data Visualization Research Lab conducts research into the problems of 4D-GIS, visualization of large information structures, 3D interactive techniques, multi-resolution rendering, data base issues, and practical applications of virtual reality, as applied to ocean-related problems. Completed in the summer of 2008, a building addition doubled the Center's lab space and increased opportunities for collaboration. A second edition, completed in the fall of 2018, further increased office and lab space and includes a new tiered classroom. UNH's Judd Gregg Marine Research Complex at Fort Point in New Castle, NH provides berthing for the UNH research vessels and easy access to the sea. In addition, the pier is the home port of the new NOAA ocean mapping “SWATH” vessel, the Ferdinand R. Hassler. CCOM/JHC has 19 teaching and research faculty and an additional research staff whose expertise ranges from marine acoustics and deep-sea photo and video mosaicking to airborne LIDAR and 4D data visualization. A group of technicians, engineers, and support personnel round out the staff and contribute their considerable talents to our vibrant environment of research and learning. 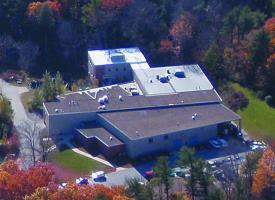 In September 2013, UNH launched the School of Marine Science and Ocean Engineering. The Center is a key component of the school and will enjoy increased opportunities to collaborate, communicate, and cooperate.